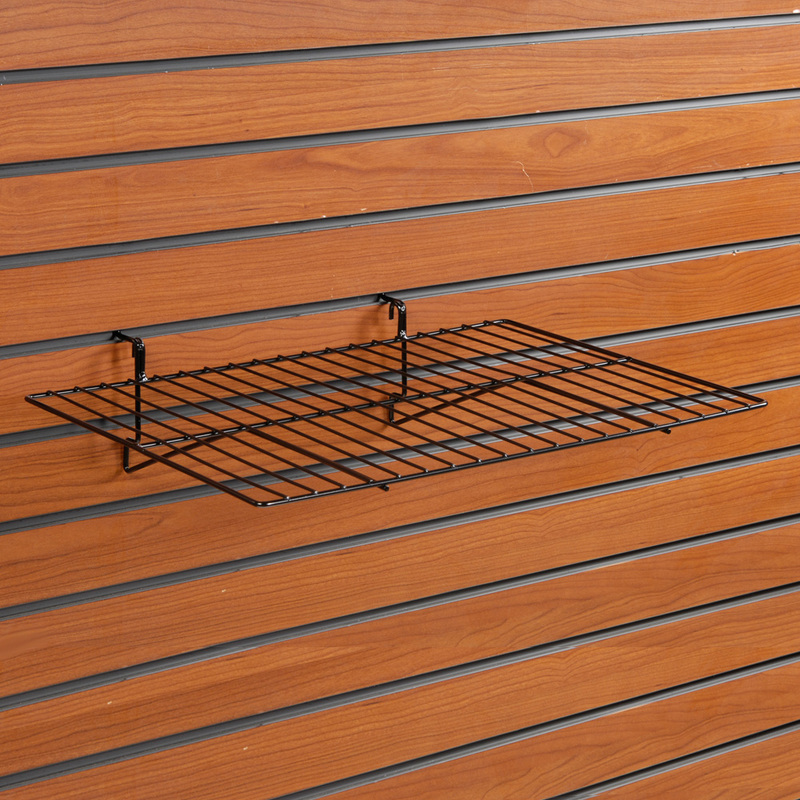 This straight wire slatwall shelving is perfect for a wide variety of merchandise! Wire Straight Shelves work on pegboard, slatwall and gridwall. 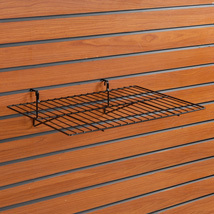 This slatwall shelving is black powder coated over steel. Straight shelf is available in Black or White. For many more options, we ask you to take a moment to shop our thorough array of slatwall shelving at Specialty Store Services now.